Many people would think that the disciplines of science and art occupy very different parts of our lives. A new initiative on the Northern Rivers, funded by the NSW Regional Science Grants program, seeks to challenge that idea and showcase the connections between these seemingly separate subjects. 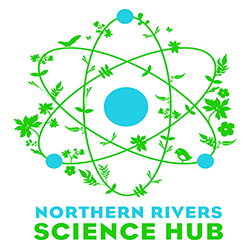 The Northern Rivers Science Hub, hosted by Southern Cross University in partnership with a number of local organisations, is preparing to deliver the imaginative and dynamic festival Arts vs. Science. “This one day festival in Riverside Park Lismore will bring together the art and science communities to explore the role of arts and science in understanding and managing our natural world for a sustainable future,” said Kristin den Exter, Engagement Facilitator at the Southern Cross University. Interested artists, scientists and everyone in between can check out a wide range of activities: At the ‘Bright Ideas’ Talking Tent, a range of panel discussions and talks from local artists and science practitioners will be presented. People can then enjoy the 3D science sculpture walk, before letting loose in the music marquee, powered by the Southern Cross University’s Solar Sunflower. Rous Water shows that not only can we appreciate colour for its beauty, but also for it’s role in water testing. North Coast TAFE highlights the importance of taking care of our waterways through installations of student artworks. Botanists from Lismore Rainforest Botanic Gardens will communicate their knowledge of plants while making a beautiful rainforest mural from natural materials. Singing, dancing and acting skills are on display as North East Waste educates about protecting our planet from excess waste, and Jurassic Joe the Dinosaur Show presents a fun filled musical ride through the amazing world of prehistoric reptiles.